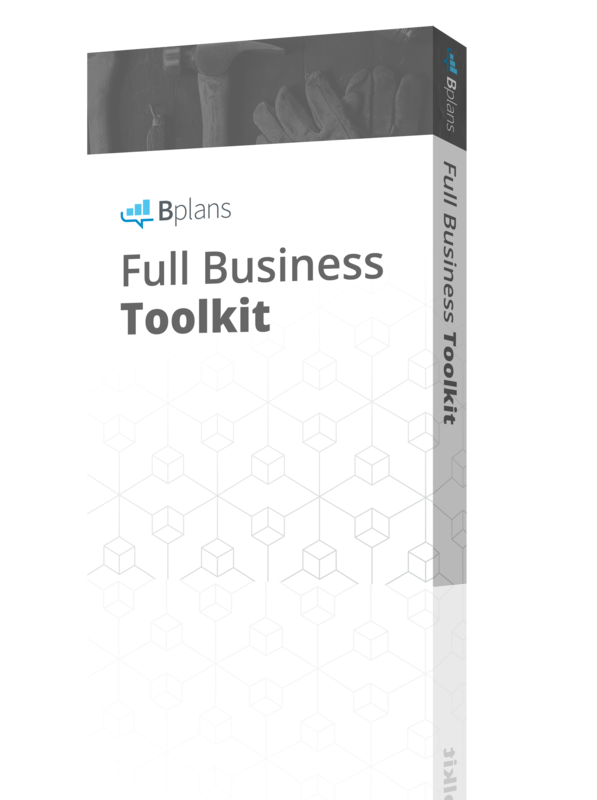 Is it OK to fail? Most people believe that failure is something to be embarrassed about, or to sweep under the rug. But is there something about owning our failures that gives us the keys to succeed? Included below are 15 quotes from some of history’s greatest known thinkers and leaders on why failure doesn’t have to be as devastating as we think. Featuring quotes from Thomas Edison, Zig Ziglar, Randy Pausch, Maya Angelou, Winston Churchill, and more. 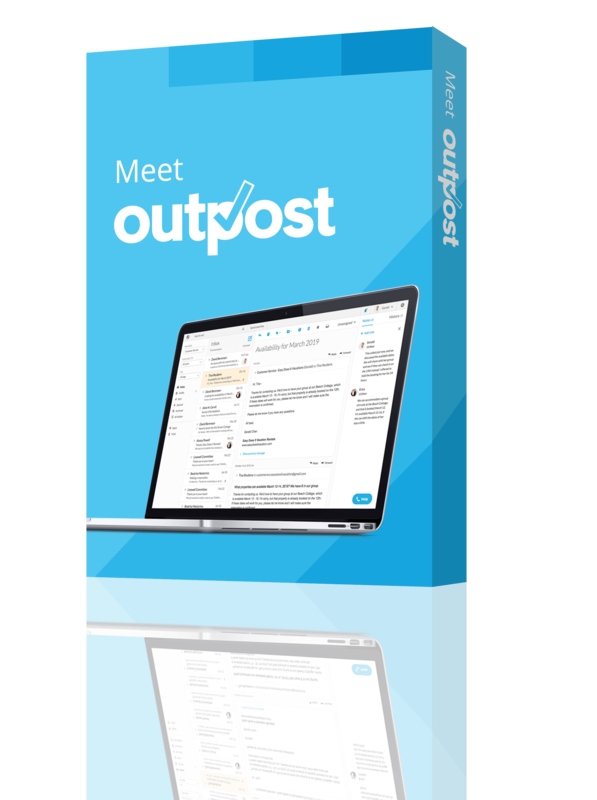 Do you have a quote you’d like us to feature? 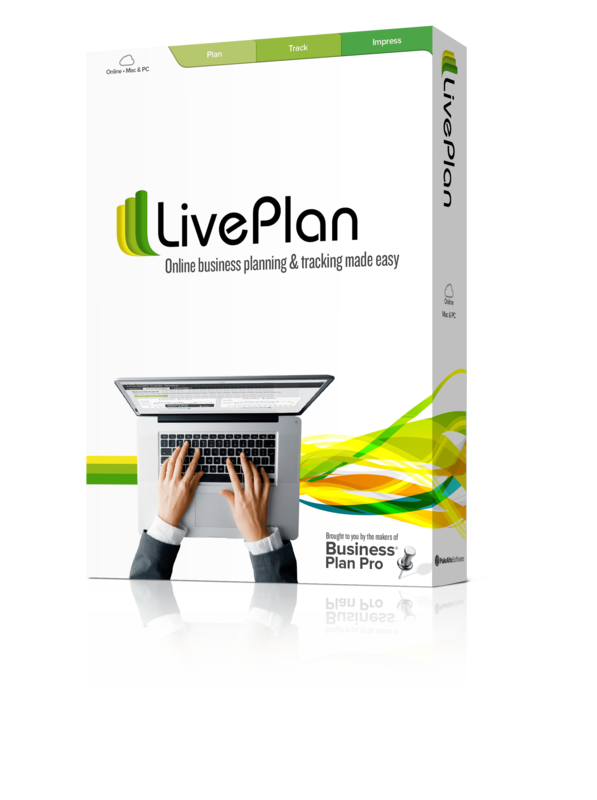 Tweet @Bplans and we’ll add your quote to our list of submissions. “I have not failed. I’ve just found 10,000 ways that won’t work.” — Thomas A. Edison; Tweet this! 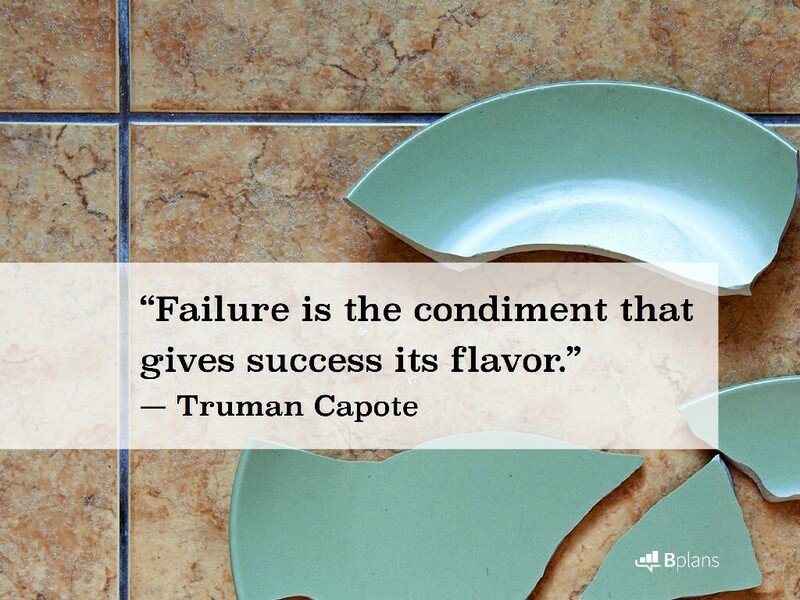 “Failure is the condiment that gives success its flavor.” — Truman Capote; Tweet this! 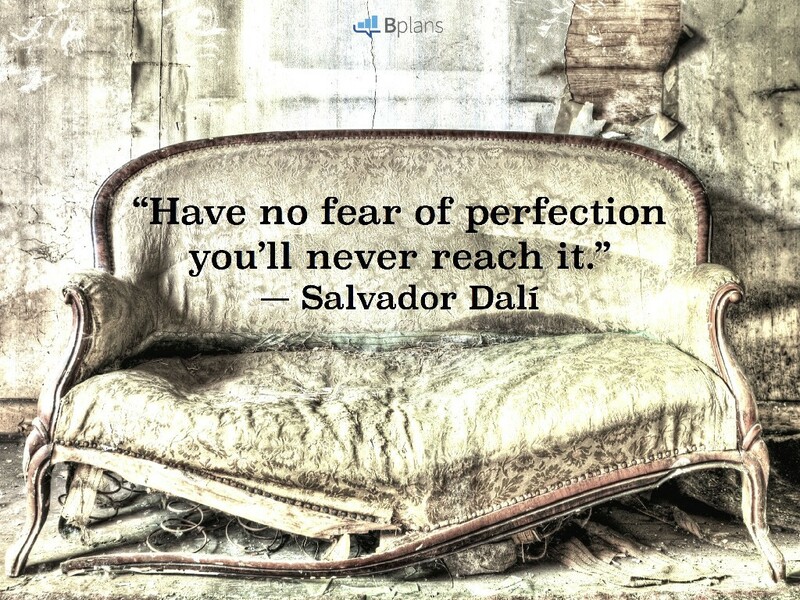 “Have no fear of perfection—you’ll never reach it.” — Salvador Dali; Tweet this! 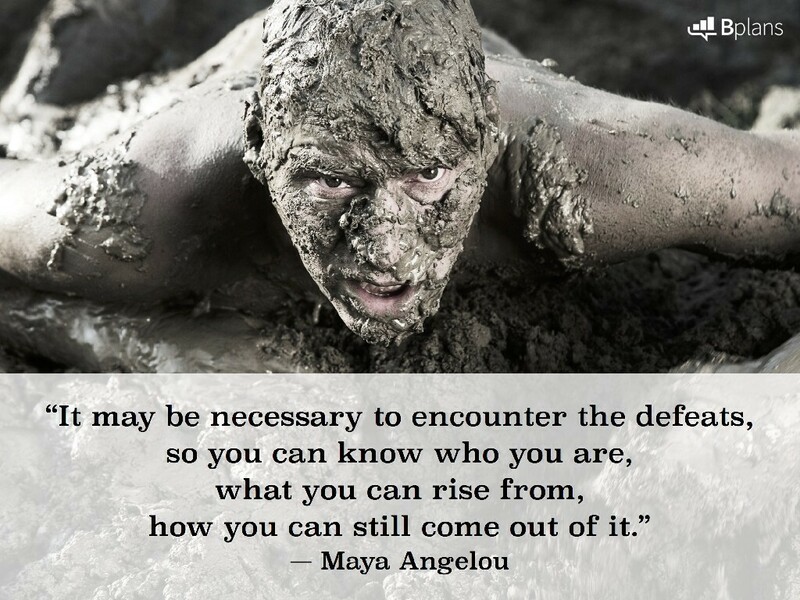 “It may be necessary to encounter the defeats, so you can know who you are, what you can rise from, how you can still come out of it.” — Maya Angelou; Tweet this! 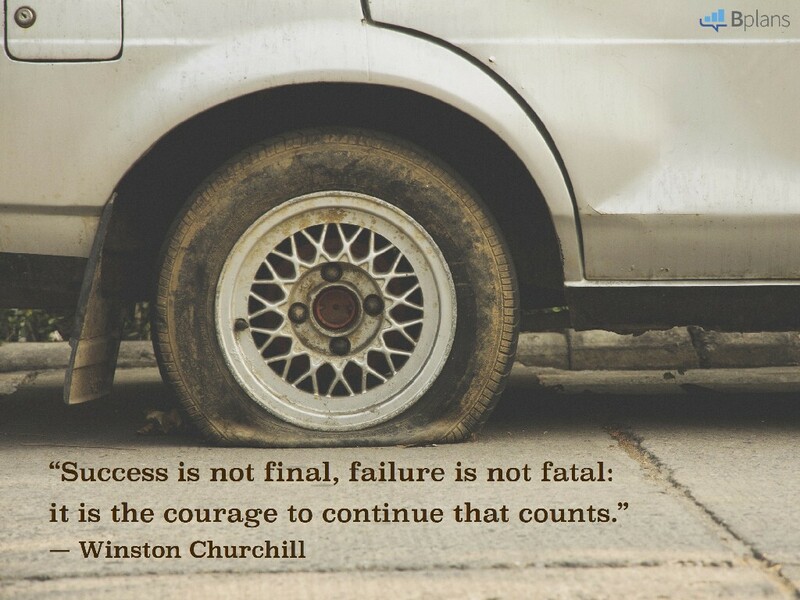 “Success is not final, failure is not fatal: it is the courage to continue that counts.” — Winston Churchill; Tweet this! 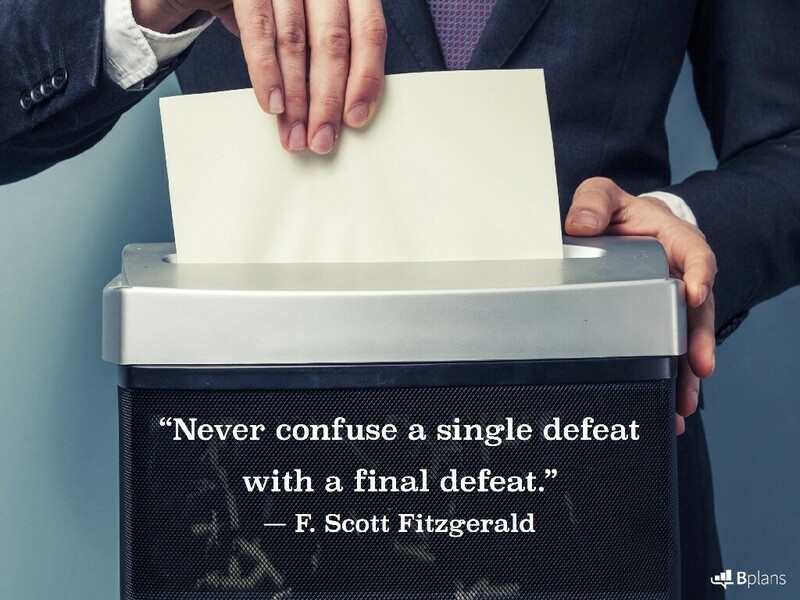 “Never confuse a single defeat with a final defeat.” — F. Scott Fitzgerald; Tweet this! 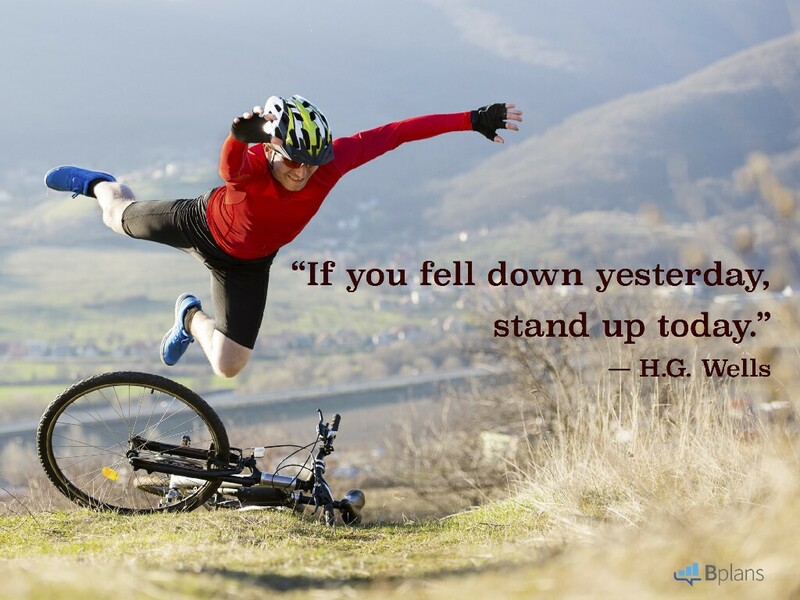 “If you fell down yesterday, stand up today.” — H.G. Wells; Tweet this! 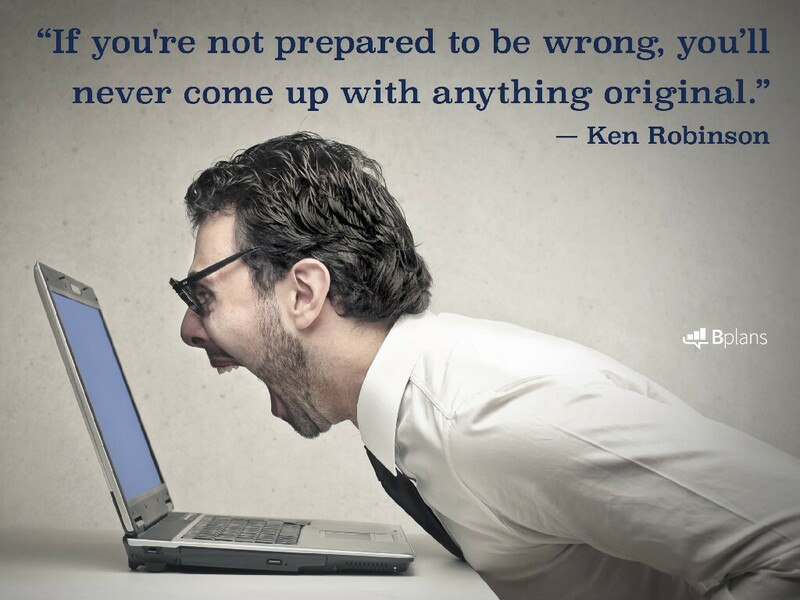 “If you’re not prepared to be wrong, you’ll never come up with anything original.” — Ken Robinson; Tweet this! 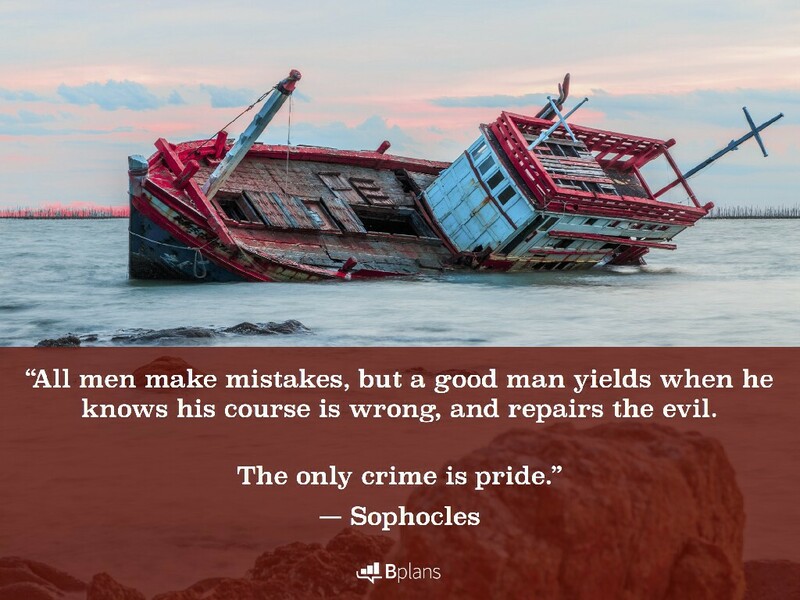 “All men make mistakes, but a good man yields when he knows his course is wrong, and repairs the evil. The only crime is pride.” — Sophocles; Tweet this! “Try again. Fail again. 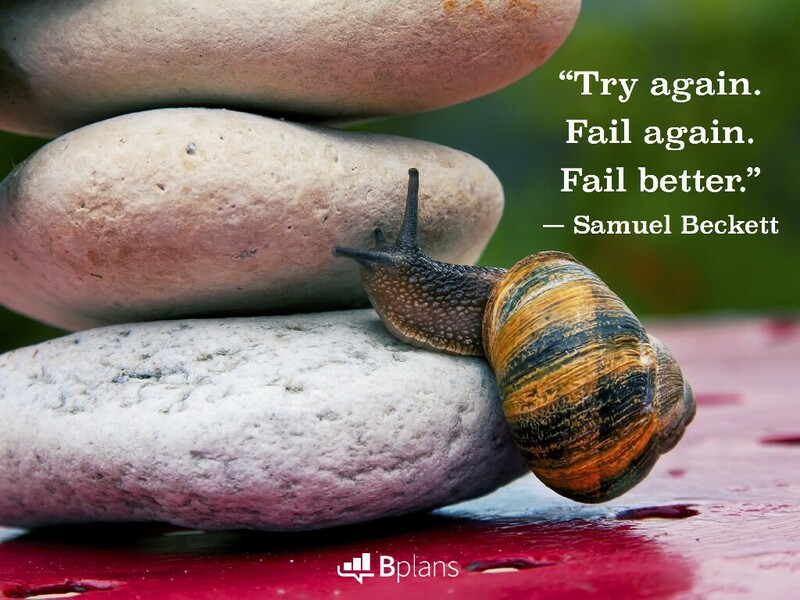 Fail better.” — Samuel Beckett; Tweet this! 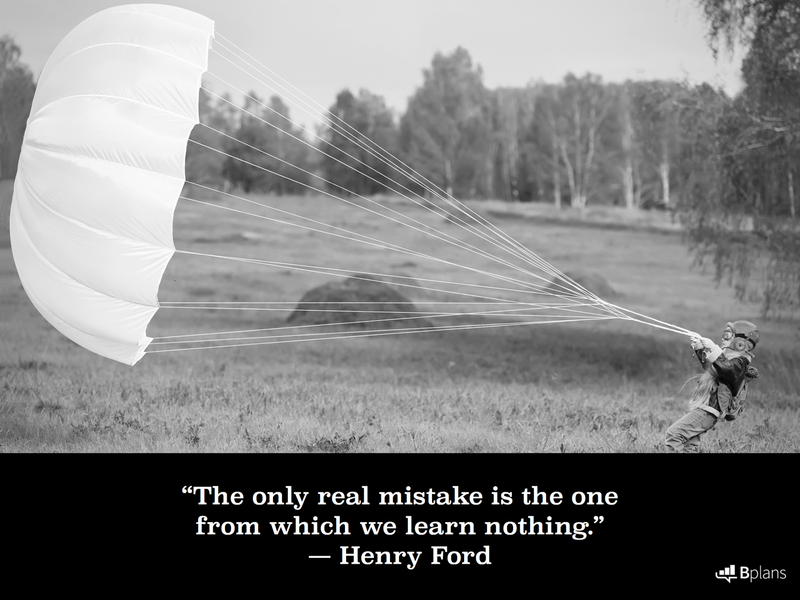 “The only real mistake is the one from which we learn nothing.” — Henry Ford; Tweet this! “The person who failed often knows how to avoid future failures. The person who knows only success can be more oblivious to all the pitfalls.” — Randy Pausch; Tweet this! 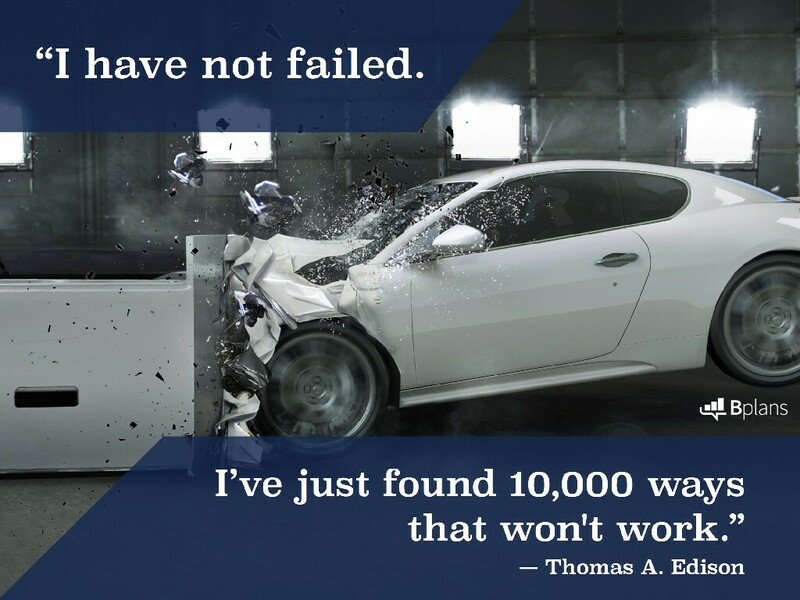 “You build on failure. 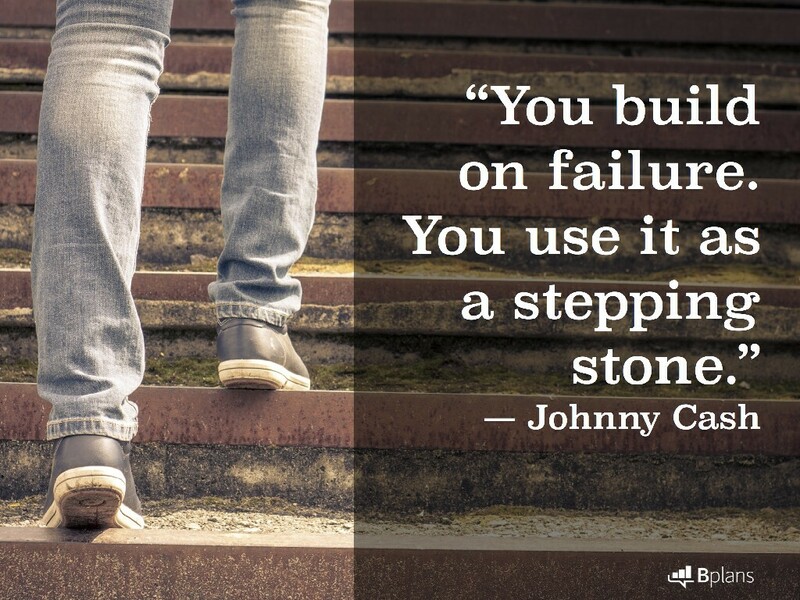 You use it as a stepping stone.” — Johnny Cash; Tweet this! 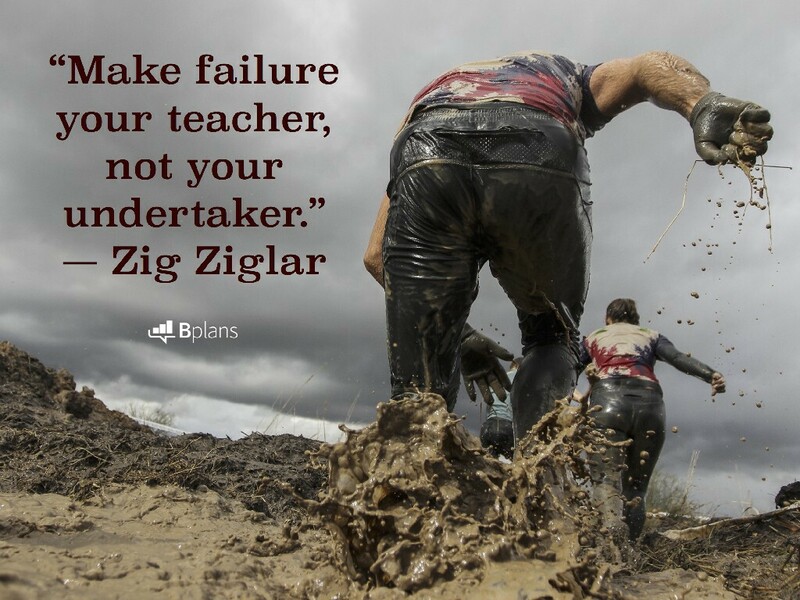 “Make failure your teacher, not your undertaker.” — Zig Ziglar; Tweet this! 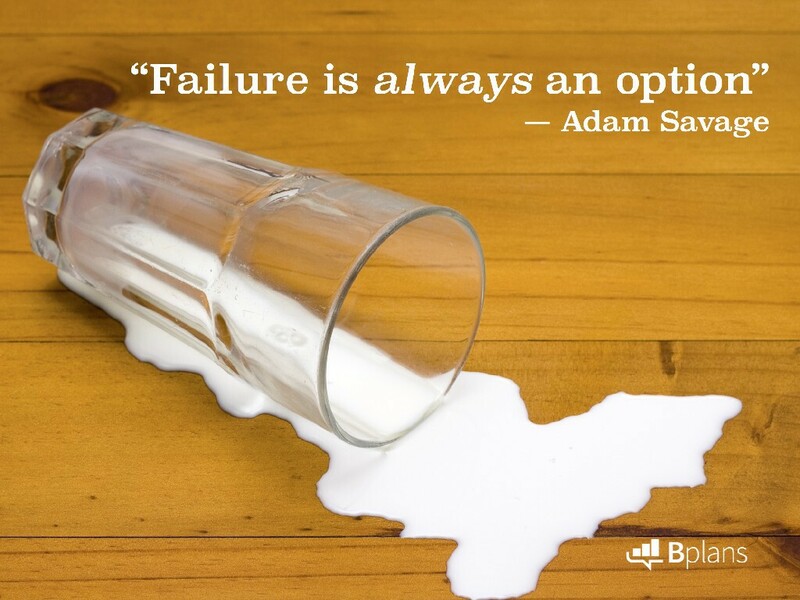 “Failure is always an option.” — Adam Savage; Tweet this! Which quote is your favorite? 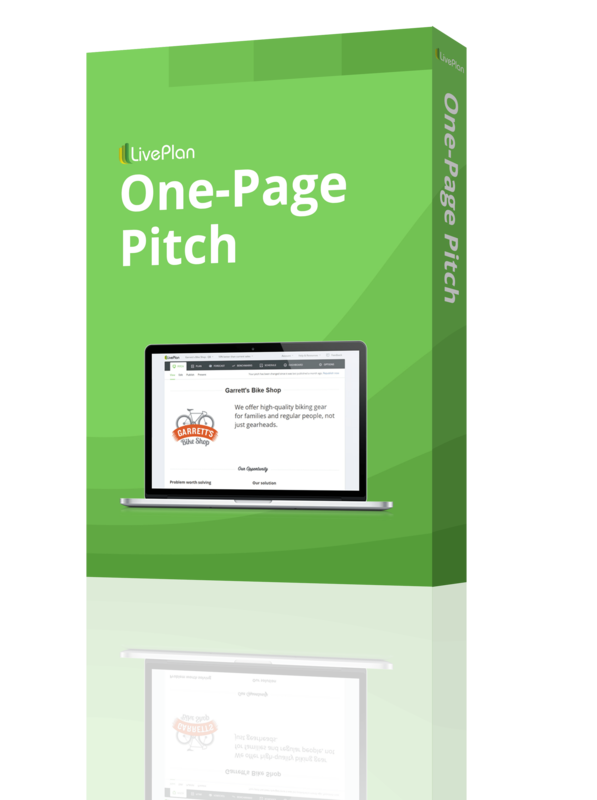 Tell us in the comments below, or on Slideshare.net.